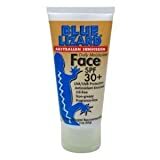 Blue Lizard Australian Sunscreen, Daily Face Moisturizer, Fragrance-Free, 30 SPF 3 oz. PROTECT AND MOISTURIZE YOUR SKIN – Formulated gel provides daily moisturizer for all skin types with SPF 30+ broad spectrum UVA/UVB coverage. REJUVENATE YOUR SKIN – Enriched with natural antioxidants like Vitamin E, caffeine, green tea and 8% Zinc Oxide, this daily moisturizer helps brings new life to your skin. REDUCE SIGNS OF AGING – Gel filled with natural antioxidants provides formulated protection and glides on skin easily. REVOLUTIONARY COLOR-CHANGING BOTTLE – The patented BPA-free plastic cap on our 3.0 oz tubes is UV photo-sensitive, changing color in the presence of harmful UV rays. The deeper the blue, the more UV rays are currently present. This visual reminder helps you know when it’s time to reapply. Formula is paraben-free, fragrance-free, and oil-free. Protect your baby’s skin with SPF 30+ broad spectrum UVA/UVB coverage. BPA-free, 5.0 oz Smart Bottle turns pink in the presence of harmful UV rays. The deeper pink the bottle becomes, the more UV rays are present. This visual reminder helps you know when it’s time to reapply. 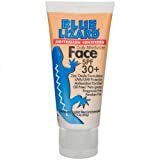 Pediatrician-recommended – Uses only high-quality natural minerals with 10% Zinc Oxide and 5% Titanium Dioxide. Specially formulated for baby’s sensitive skin and everyday protection on face and body. Made with high-quality, chemical-free, paraben-free, and fragrance-free ingredients.